Putney Bridge Road is one of the busiest in South West London, running alongside the River Thames and linking the South Circular to Putney Bridge. 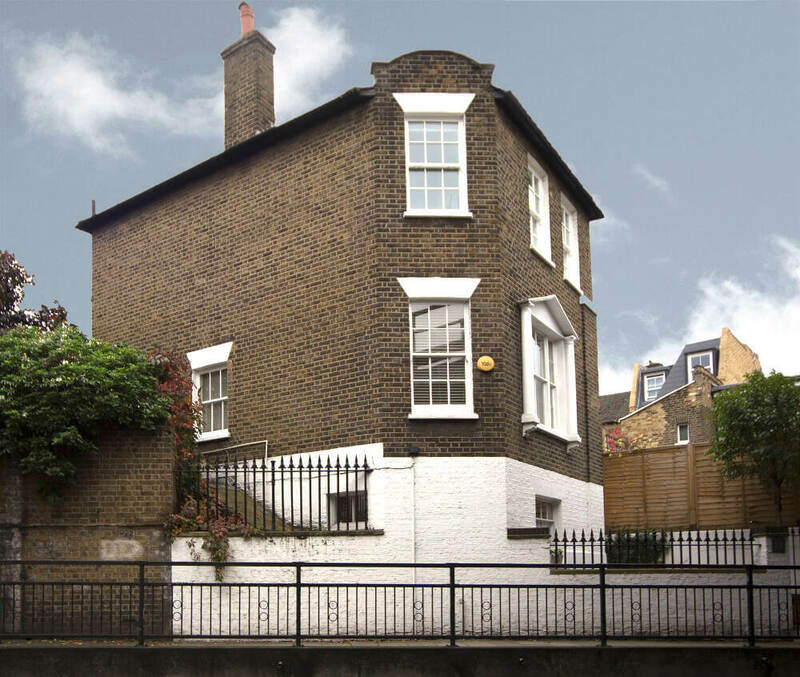 In addition to this heavy flow of traffic Mr M’s property backs right onto a railway line. In fact, the track was originally built so close to the property that part of the house was cut off to allow trains to pass by. Therefore, it would be no surprise that the main reason for Mr M’s enquiry was to reduce the disruptive noise. 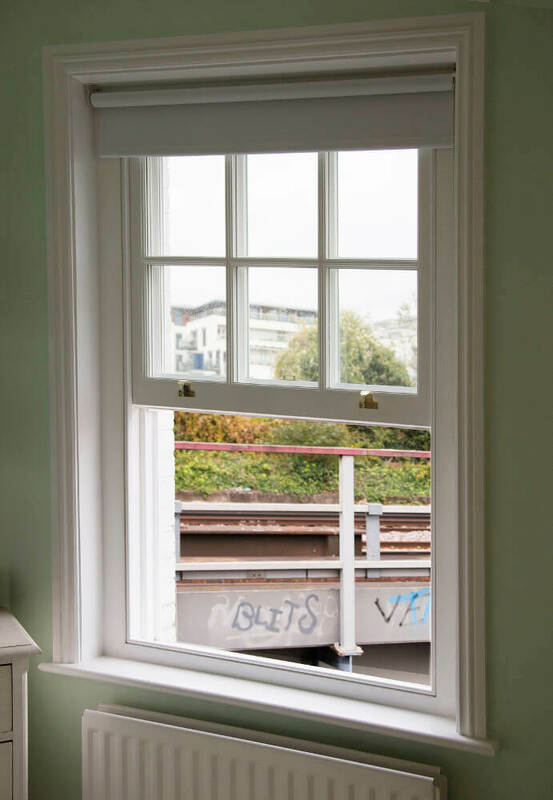 Firstly, it is not possible to install the thickest glass with our sash replacement option. 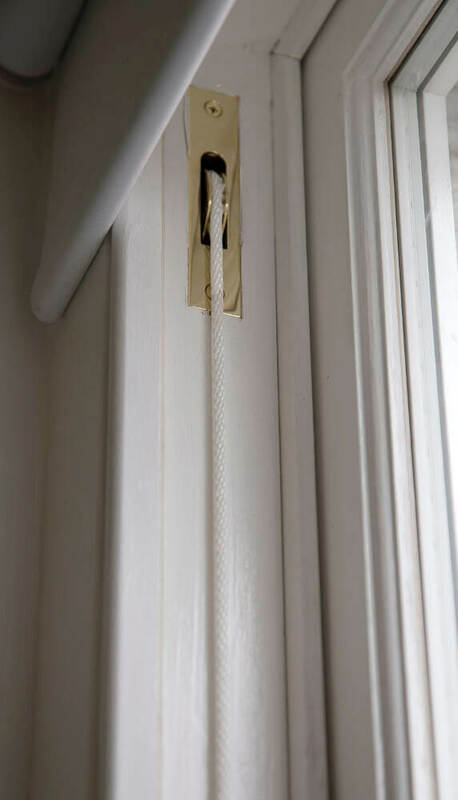 This is because the thickness of our new sashes is governed by the existing box frame. 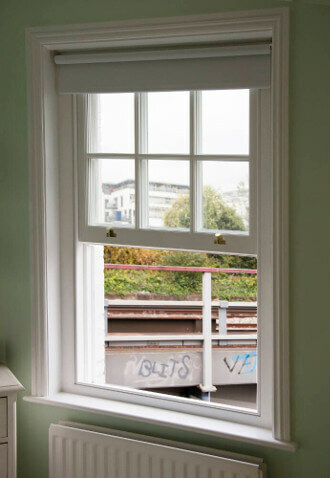 Generally, the thickest sashes we install as part of a sash replacement option are 45mm with a 20mm double glazed unit. 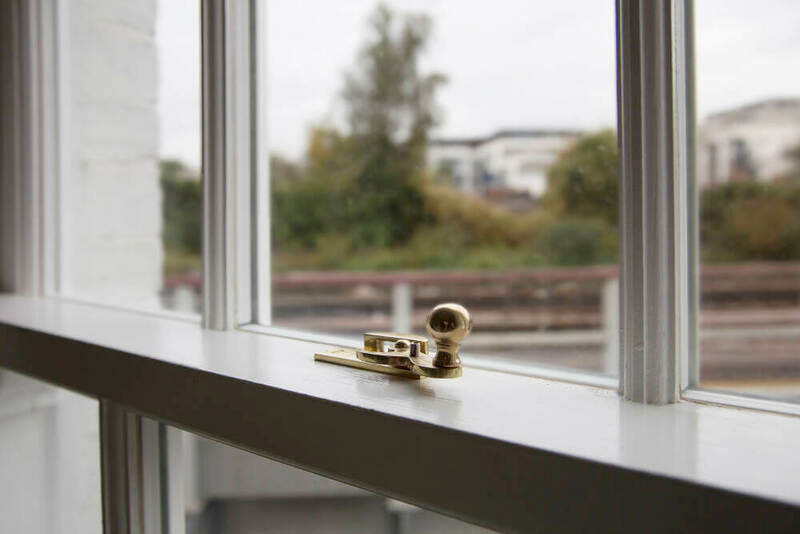 With new box frames, our sashes are 57mm thick. With acoustic glass, it is vital to have the maximum amount of space possible for the glass, and the acoustic double glazed units we used for Mr M are 24.8mm thick. 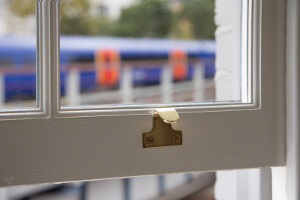 Secondly, with our sash replacement option we add new lead weights onto the existing steel weights in order to keep costs to a minimum for our customers (please see more details about this on our Sash Replacement Service page). Acoustic glass is so heavy that the amount of lead weight we would need to add would make the counterbalancing weights almost as long as the box frame itself, severely restricting travel of the sashes. 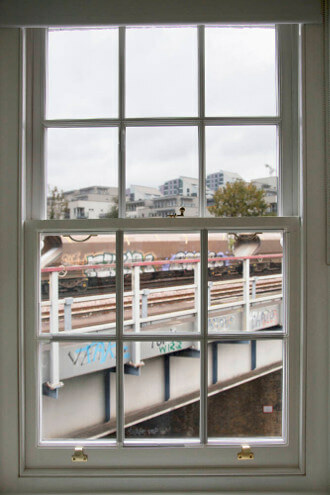 We therefore advise our complete renewal option with acoustic glass. 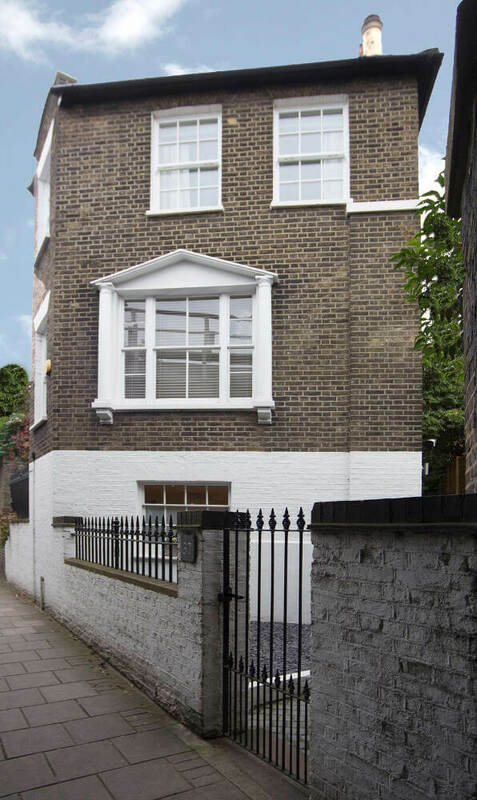 Whilst noise reduction was a considerable target for the customer we also had to ensure that the joinery complemented and enhanced the traditional features of Mr M’s home. 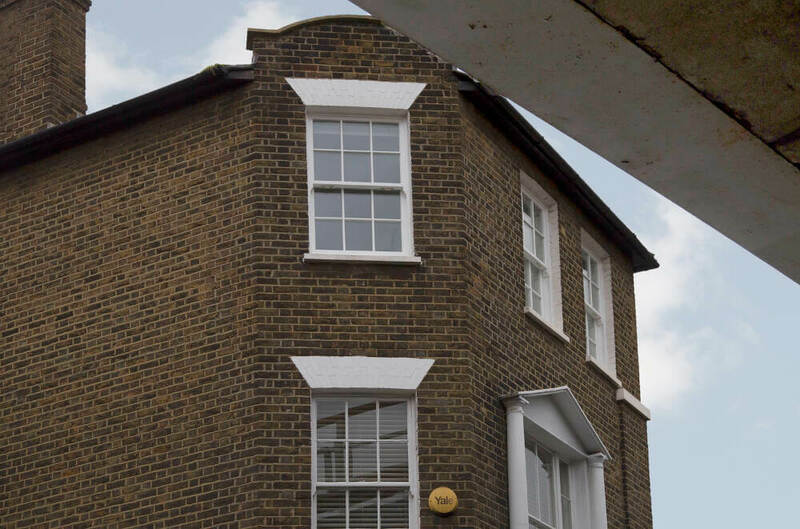 The windows follow an attractive 6 over 6 design, with 6 panes of glass in the top sashes and 6 panes of glass in the bottom sashes. The final challenge with this job was access to the property. The location is right next to the railway bridge with nowhere to park for a van to unload tools and materials. Nevertheless, our installation team managed to carry everything they needed back and forth without any issues. Overall, we were very pleased with this job as was the customer. 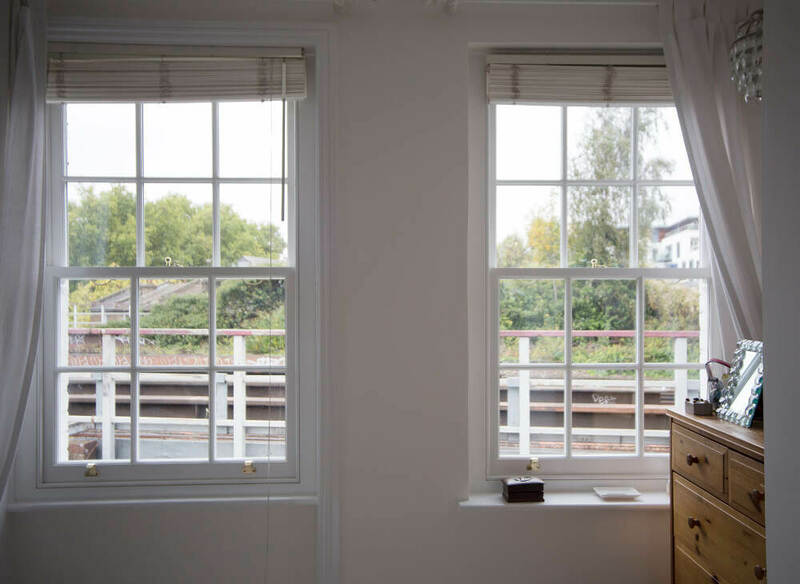 We achieved the aims of reducing noise and also improving the aesthetic appeal of the home.